Learning Nexus launches new Monster microlearning ‘eBytes’ range - Learning Nexus Ltd.
Learning Nexus is proud to announce the release of our tasty new range of off-the-shelf microlearning, “eBytes”. In a nutshell, eBytes are short videos – around 2-minutes long – that wrap learning content around just one learning objective. With a huge trend towards deploying eLearning in smaller chunks, Learning Nexus decided to add a new brand of learning content to our product range. The eBytes have been specifically instructionally designed to ensure maximum learning in minimal time. Market research shows that two-thirds of millennial learners would rather consume information via video than screen text. This is important because by 2020, millennials will make up 59% of the global workforce. How can you engage with this growing young workforce when it comes to training? The solution which many organisations are turning to is microlearning. eLearning industry defines it as “a way of teaching and delivering content to learners in small, very specific bursts”. This is ultimately the aim with the eBytes range. We aim to give learners highly specific learning objectives within approximately 2 minutes and present it in a fun and engaging way. eBytes are animated videos ranging from around 2-3 minutes. Why that duration? Because research shows that 2 minutes is the optimum length for maintaining learner attention. Contact us to receive the eBytes brochure with ALL the course titles in. The most important thing about eBytes is that they are fun. They are ‘presented’ by a family of Monsters who guide the learner through the topic. The Monsters are free of religion, beliefs and gender, but each has its own personality, helping learners relate to the content. You can’t talk about eBytes without mentioning the Monsters. They are the teachers of the creature world and have their own Twitter to prove it: @eByteMonsters. Their light-hearted outlook on the world means learners can genuinely enjoy the learning experience. So, how can you use eBytes? Use eBytes as part of an induction process for new starters – what a first impression! We couldn’t possibly make a learning topic to cover everybody’s requirements (we do try though). Whilst we have a generous selection of eByte topics, sometimes you need something unique. That’s why we make eBytes ‘made-to-order’. In other words, if you need to create an eByte to highlight company policies for new starters, or an eByte to teach staff about how to approach GDPR, we can help you. 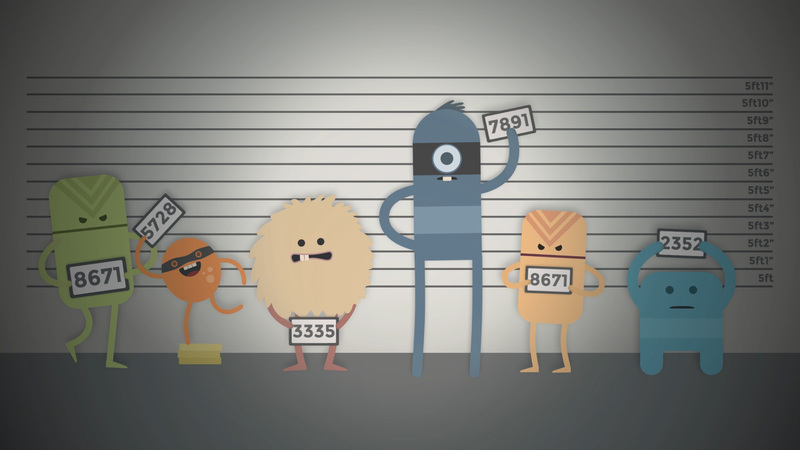 You can use the infamous monsters to convey your message in a succinct, effective and fun way. To talk about making custom eBytes with Learning Nexus, contact us through our website form. We thought you might be. Contact us today for a free demonstration of eBytes by completing our contact form or emailing us hello@learningnexus.co.uk. Visit out eBytes page for more details and video-clips.